At the beginning of most mediations, parties routinely hear that any information shared in the mediation is confidential and that the mediator cannot be called into court as a witness to testify regarding what occurred at mediation. Many states have mediation statutes or rules to this effect, and the parties may execute a mediation agreement embodying these concepts. The idea is to allow for frank discussions with the mediator—a neutral third-party—to facilitate settlement. But what if the confidential information shared with the mediator is subject to the attorney-client privilege? Is it automatically covered by the mediation privilege? Does it matter if the mediation is pre-suit? The mediator is, after all, a third party to the attorney-client relationship. Can being open with the mediator come back to haunt you? Unfortunately, the answer is unclear and depends on the jurisdiction. The drafters of the Uniform Mediation Act (“UMA”), adopted in a handful of states such as Ohio, tried to make clear that the mediation privilege in the UMA is broad and akin to the attorney-client privilege. The UMA provides that mediation communications are privileged and confidential. UMA §§4 & 8. The UMA also puts the privilege in the hands of all parties to the mediation, and the privilege typically can only be waived if all parties to the mediation agree. Further, the information is to be kept confidential, cannot be admitted at trial and is not subject to discovery. The UMA also expressly covers different types of mediations, including mediations outside the judicial system, if the parties express at the outset their intent for the UMA to apply. States like Kentucky and West Virginia, however, only set forth mediation rules and protections in their court rules, which would imply that the protections in those rules do not necessarily apply to mediations outside the judicial system. West Virginia’s trial court rules regarding mediation expressly state that they “govern mediation in the judicial system in West Virginia.” WV Trial Court Rule 25.01 (emphasis added). Kentucky’s approach is more complicated. While Kentucky, at one point, established model mediation rules, it was left to the discretion of each judicial circuit whether to adopt them or establish their own rules. One judicial circuit has adopted the model rules, which provide that matters discussed with the mediator are confidential and privileged. The privilege, however, resides with the mediator and cannot be waived by the parties. Ky. 3rd Judicial Cir. L.R. of Mediation, Rule 12. Another Kentucky judicial circuit adopted its own mediation rules, which entirely omits the term “privilege.” Rather mediation documents and communications (with some exceptions) are deemed “confidential” and are not subject to discovery or admission as evidence. Ky. 22nd Judicial Cir. L.R. 29.D. Similar to Kentucky’s 22nd Judicial Circuit, West Virginia’s Trial Court Rule 25.12 provides that mediation communications are confidential—no mention of privilege, but the parties to the mediation are to determine the scope of confidentiality. Interestingly, courts have held that communications between a client and attorney are protected by the mediation privilege, even where there is a later dispute between the client and the lawyer regarding the effectiveness of a settlement agreement. Cassel v. Superior Court, 51 Cal. 4th 113, 118, 244 P.3d 1080, 1084 (2011) (holding mediation protection applied to communication between non-adverse parties). In a different situation, the Supreme Court of Appeals of West Virginia found that a lower court did not err in allowing a mediator to testify where a party later claimed that the settlement reached at mediation did not include terms added by the opposing party after mediation. Riner v. Newbraugh, 211 W. Va. 137, 144, 563 S.E.2d 802, 809 (2002) (noting, however, that mediator did not disclose confidential communications; he only testified to the terms he believed were agreed upon as part of the settlement). Given the inconsistency between jurisdictions, parties must enter into a mediation understanding that not all communications and documents will necessarily be protected, particularly in pre-suit mediations. It is important to know the jurisdiction’s rules or statutes on the subject, including whether a privilege exists, who holds the privilege, and what is required to waive it. 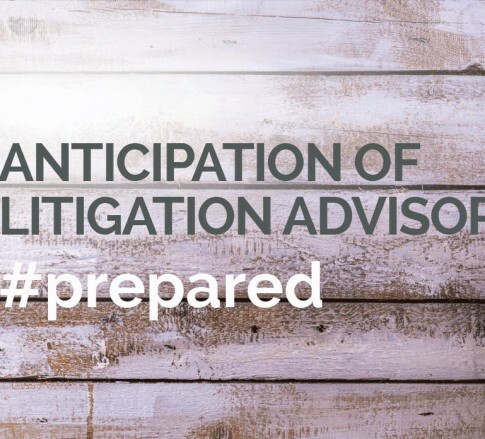 In addition, a mediation party will need to determine what information it wants to share and whether additional precautions or agreements are necessary to protect the information. If possible, the parties should agree to the scope of confidentiality or other protections (e.g., no waiver of attorney-client privilege or work product protection if share with the mediator only), as well as who may waive the protection and when, if ever. Note: This blog analyzes civil court rules. Many jurisdictions have mediation rules specific to family court/domestic relations issues, which are not discussed here.